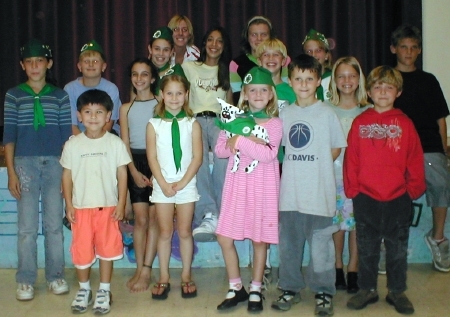 Golden Valley 4-H is a youth development program, administered by the University of California, for youth ages 5-19. The emphasis is on leadership, community service and project work. A variety of projects exist, ranging from rocketry to foods, rabbits to photography, and entomology to sewing. sending to our buddy 4-H club in Macon County. The next meeting is Tuesday, May 13th at 7:00 pm in the Holmes multipurpose room. Many thanks to Michael Muir for sharing a presentation about Access Adventure at the last meeting. Access Adventure is a unique program that uses wheelchair accessible horsedrawn carriages to provide open space recreation and wilderness access for people living with the challenges of disability. A new draft horse/carriage project has started. Meetings are on the 3rd Saturday of the month at Rush Ranch. Visit Access Adventure at http://www.access-adventure.org/. Youth ages 5 to 19 may join. We also welcome adults with talents or skills they would like to teach. For more information send e-mail to goldenvalley4h@hotmail.com. View projects open to Golden Valley 4-H members. Sign up for the Golden Valley e-mail listserv at http://www2.dcn.org/mailman/listinfo/goldenvalley4h. It's a great way for club members to communicate. Davis Community Network (DCN) for hosting our website.